Obama's National Security Advisor insists ties between Israel and U.S. are stronger than ever amid tensions over "chickens**t" comments. Susan Rice, National Security Advisor to President Barack Obama, denied on Wednesday that there was a crisis in Israel-U.S. relations, The Atlantic reports. "The relationship is not in crisis. The relationship is actually fundamentally stronger in many respects than it's ever been,” she said during a forum in Washington, a day after The Atlantic quoted unnamed officials in the Obama administration who called Prime Minister Binyamin Netanyahu "chickens**t", as well as “recalcitrant, myopic, reactionary, obtuse, blustering, pompous, and ‘Aspergery." Rice went further, declaring the U.S.-Israel relationship to be enjoying an "unprecedented" level of coordination and information-sharing on the issues of mutual interest including Iran's nuclear program and the rise of ISIS. “That's something that has evolved uniquely in this administration,” she said. "There are issues we disagree on, the most prominent one—that you have seen manifested itself unfortunately in the press—has been on the issue of settlements, where for decades the United States has had a different view of settlements and their legitimacy than the Israeli government has." The U.S., she said, has long viewed “settlement activity” as illegitimate and detrimental to the peace process. "Obviously this Israeli government has taken a different view, and when such announcements are made that are significant in their consequence, we're compelled to comment on them,” Rice said, according to The Atlantic. 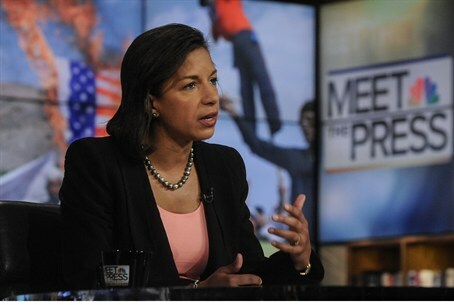 Rice was echoing sentiments made earlier by the White House, which distanced itself from the anonymous comments. State Department spokeswoman Jen Psaki agreed there were issues "where we express concern and there's disagreement," but amid concerns that U.S.-Israeli ties are plunging to new lows, she insisted the U.S. relationship with Israel "remains strong." "Our security bonds have never been greater and the ties between our nations are unshakeable," Psaki told reporters. The remarks caused an instant firestorm from Israeli public officials, with several MKs lashing out at the Obama administration over its "chutzpah" and one former ambassador stating that U.S.-Israel relations were in the midst of a serious crisis.